Understanding the Mystery Teachings of Witchcraft is essential for anyone wishing to enrich their Craft. 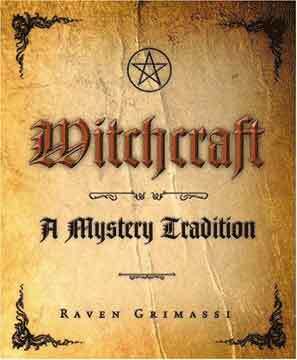 World-renowned author and scholar Raven Grimassi guides readers down the well-worn path to these Mystery traditions by exploring their roots in myths, legends, verses, and lore. Witchcraft: A Mystery Tradition provides a cultural and mythical context that helps readers gain insight into these Mystery themes. Drawing upon the long-standing traditional European Witchcraft and occult concepts and tenets, Grimassi constructs a cohesive mythos that supports and unifies the Sabbats and their associated deities. Also provided are techniques for aligning with the "momentum of the past," a powerful current of knowledge and energy available to all Witches.